BioHack Academies are run by Waag Society, Amsterdam. They are a 10-week action packed course in which participants in partner labs learn how to grow fuel, food, filaments, pharmaceuticals, fragrances, fungi and much more. Using Open Source tools and techniques, participants build their own lab equipment and learn how to use it, growing bio-ink, bio-polymer or bio-fuels, and sharing the results with others. 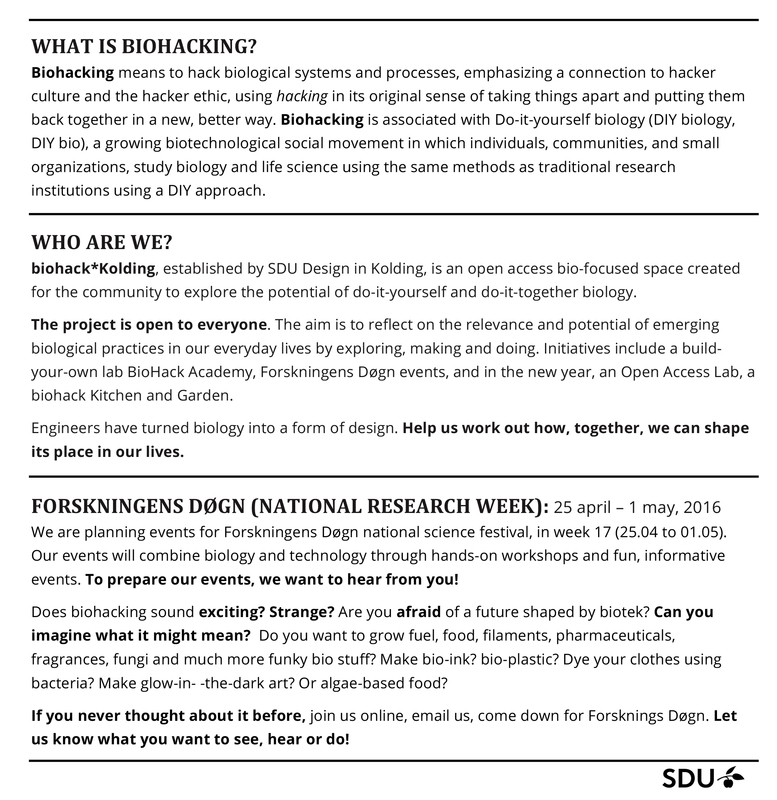 In 2016 SDU Design hosted BHA3, and built the BodyBioSoft Lab. In 2017 we ran a modified academy for local high schools. All content © Danielle Wilde and collaborators.